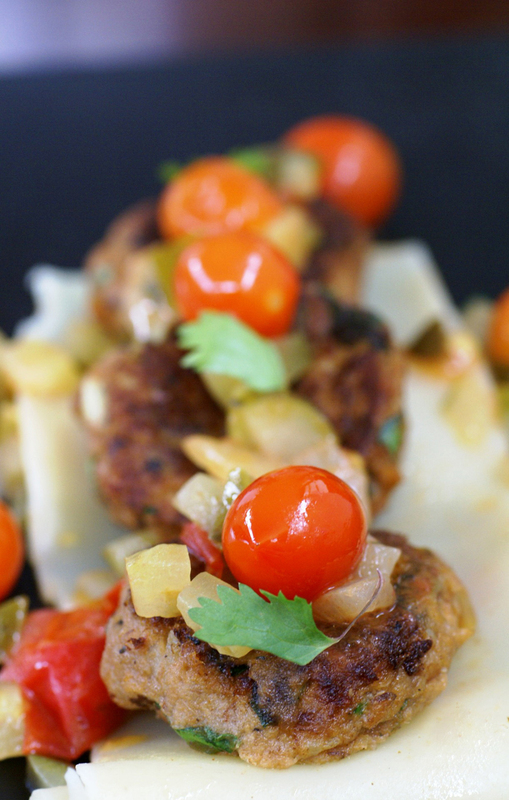 Open fish cake lasagna + tomato and gherkin relish – I grew up with fish pasta made with tinned pilchards for Saturday lunch so when Babs invited me for lunch this Saturday past – I knew what was on the menu. I asked my mom to wait for me to get to her place – I grabbed my copy of You can with Fish by Tamsin Snyman and rushed over to her house all inspired. I wanted to show her something different …for all too often we get caught up in the routine, making the recipes we know in the same way we have always made them. 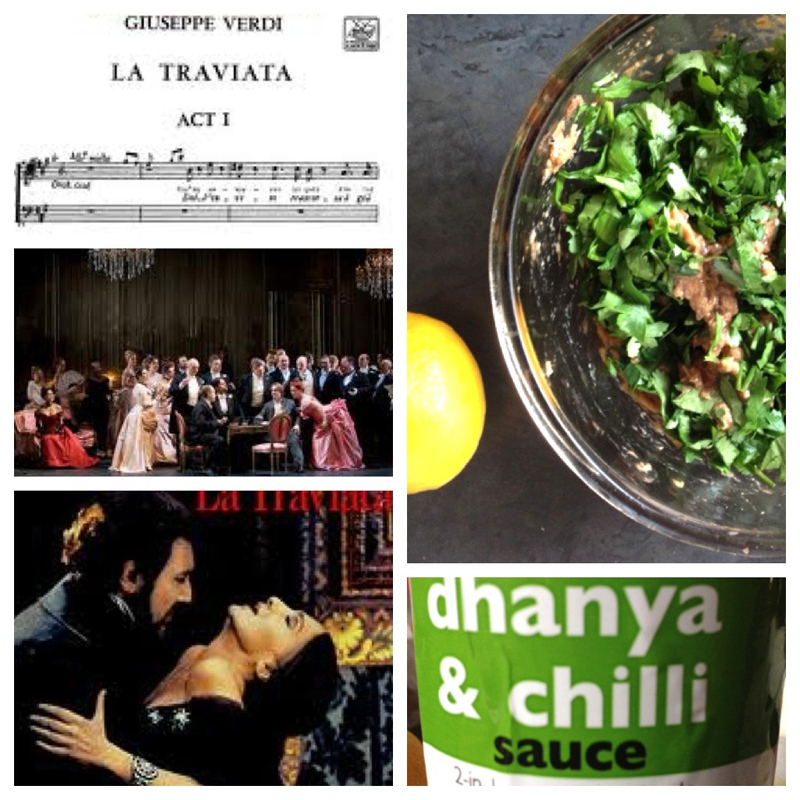 We decided to try Tamsin’s fish cakes (love her use of potatoes in the dish) but replaced the tuna with pilchards – and as I am always prone to do… I added lots of fresh herbs, extra lemon and a Dhanya and Chillie sauce I discovered. We served it with a lasagna sheet and a tomato and gherkin relish. The gherkin gives it that beautiful tanginess and just complements the dish in an extraordinary way. It is kind of like “Viskoekies en tamatie-smoor” just dressed up and off to see the opening night of Verdi’s famous opera, La Traviata… and so, so simple. Try it. I promise you it will make your heart sing! For potatoes – peel potatoes and boil till soft. Drain well and mash. Set aside. 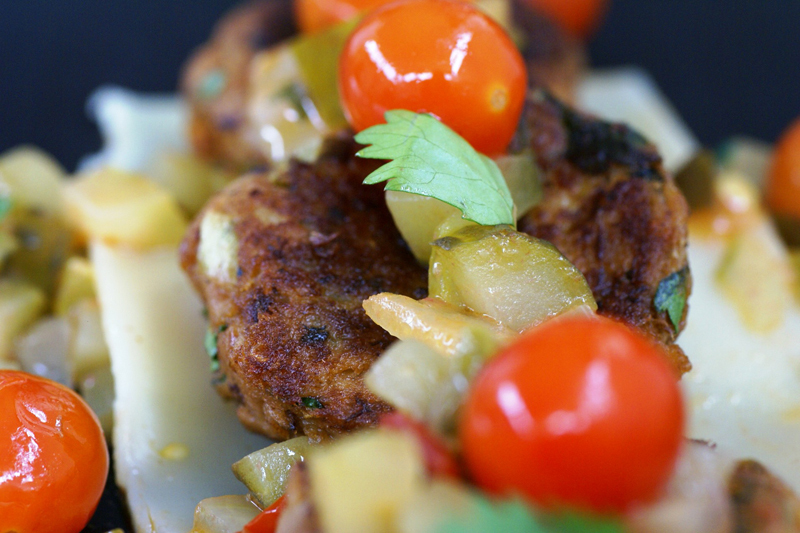 For fish cakes – mix all the ingredients for the fish cakes and the mashed potatoes together. In a non-stick pan add some oil and fry the little patties until golden brown on both sides. For relish – fry the onion in pan till the onion is soft and translucent. Add the tomatoes and close the lid for about 8-10 minutes. The tomatoes will burst open, bringing a splash of flavour. Add the gherkins and the salt and mix together. Cook for another minute or two. For the lasagna sheets – boil with salt as per the instructions on the packet. To assemble - Put some of the Dhanya and chillie sauce at the bottom of the plate, place or arrange the lasagna pasta sheet on top of the sauce then place the fish cakes on top of your lasagna pasta sheet adding the relish to top off this awesome, but so easy little dish.